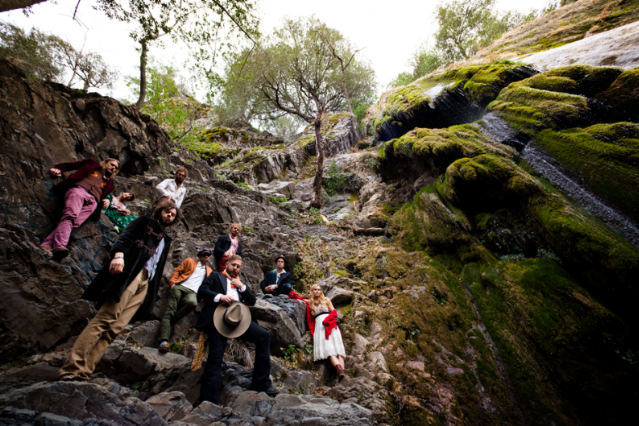 L.A.’s Edward Sharpe is still in folksy character on the latest track from May 29 album Here, the follow-up to 2009 breakthrough Up From Below. “That’s What’s Up,” which like previously surfaced Here opener “Man on Fire” sticks to the sweetly down-home, She & Him-meets-Walk the Line nostalgia of their love-lovin’ best song, “Home.” As on that track, bandleader Alex Ebert — formerly of spazzy new wave revivalists Ima Robot — duets here with singer Jade Castrinos, and once again they’re exchanging sweet nothings, complete with whistling and jug-band bass. “You’ve got my love to lean on, darlin’,” goes the sunny chorus. Spoiler: That’s what’s up.